I haven't posted a wishlist in quite some time, despite being a complete lust-a-holic (like a shopaholic but I don't actually buy many things - how novel) and love nothing more than layout out all of my beauty wants into a blog post so that maybe, just maybe, I'll man up and make the purchase. Weleda Aknedoran Cleansing Lotion - There are only two products in Weleda's 'Aknedoran' range but both of them seem fantastic and have nothing but brilliant reviews, I know Kate is a fan of the treatment/toning lotion too and we have quite similar skin! This cleanser is a super refreshing and gentle lotion that aims to purify skin with simple ingredients that are known to be beneficial to acne prone skin types. I also love that it's so affordable and have been meaning to purchase it for ages now but it's been out of stock! SkinOwl Eye + - I can't seem to stop thinking about the Eye +! I was sold the moment I watched this video on the Cult Beauty Youtube channel where Annie (SkinOwl's founder) gives you a quick demo, it sounds incredible! A cooling, firming, de-puffing eye gel that works instantly and is packed full of delicious ingredients. 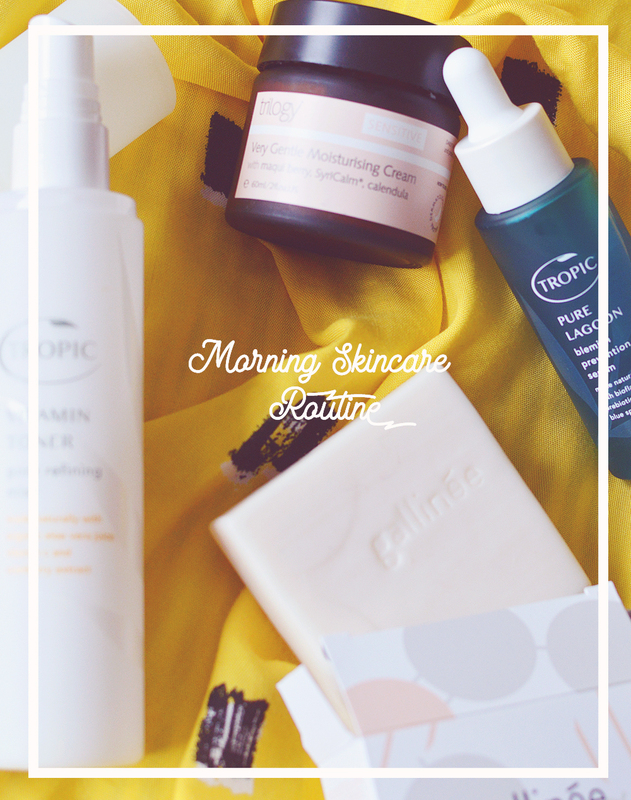 You can also use it as a primer before makeup, and who doesn't love a good multi-tasker? Alima Pure Satin Matte Mineral Foundation - I am hooked on Alima Pure, there, I said it. I made my first small purchase from the brand last week and now have a list as long as my arm, I pretty much want everything. I'm slowly but surely coming to the end of my favourite Jane Iredale mineral foundation and I think I will purchase the Alima Pure number once it runs out after being so impressed with the quality of their products. They have a crazy amount of shades and it's cheaper than Jane Iredale... so really, it's a no-brainer. Olivine Love & Salt Hair Mist - I really need some products to add texture and volume to my new hair style and think a salt spray is one of the easiest and simplest routes to go down. I'm pretty lazy with my hair and most days I will use no products at all, relying on night time showers and sleeping on freshly washed (dried) hair to de-frizz and flatten it works like a charm. I've wanted to try this mist from Olivine for so, so long now and I feel like everyone has tried it but me! It's definitely time to change that. 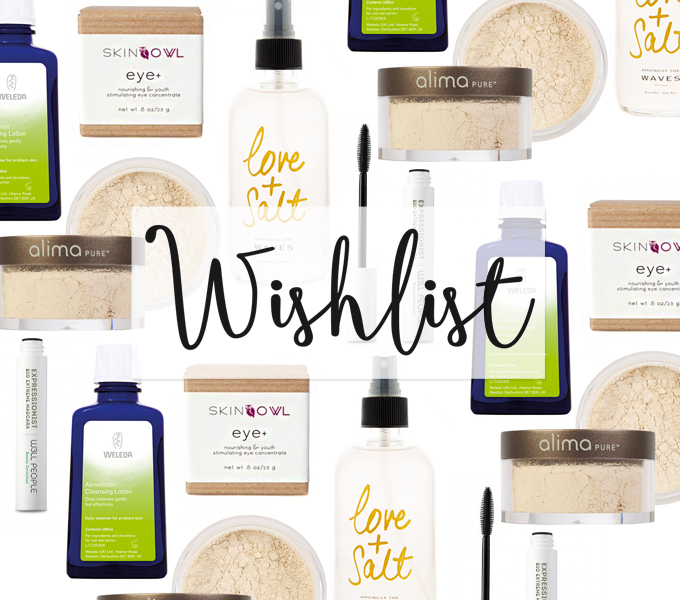 Have you tried any of the products on my wishlist? What did you think of them?